Do you offer harvest festivals on your farm? PKC helps develop them into popular annual agritourism events. 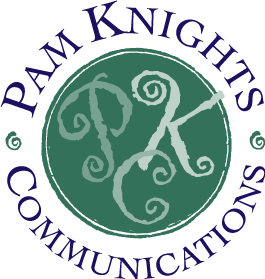 As the former director of public relations and special events for New England Culinary Institute, Pam has extensive special event experience. Though she no longer coordinates them, she can guide you in developing and promoting yours. Harvest Festivals bring eager visitors to farms to learn, taste, and purchase products. They help to build customer loyalty and brand recognition. Other on-farm events have included annual Heirloom Tomato Tastings, the first-in-Vermont Dinners in the Field (2005) and food preservation classes. The Pumpkin Festival typically draws more than 1500 visitors each year! The festival features talks by Orchardist Zeke Goodband and tastings of some the 125 heirloom apple varieties in season, hard cider tastings, PYO, live music, food vendors and dry stone wall tours by The Stone Trust, located on the farm. Contact her about growing your business through special events. Photo credits , l to r: Ian Clark, Robert Eddy, and Kelly Fletcher Photography. Artwork by Bonnie Acker for Cedar Circle and Martha Rotchford for Scott Farm. It is a pleasure to work with these talented photographers and artists for visuals to use in promoting these events.